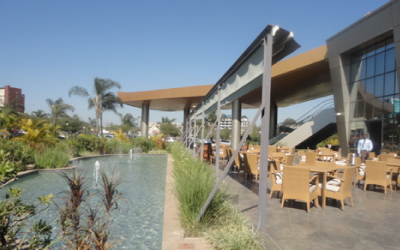 Hotellier is a 142-room 5-star hotel located in Lusaka, Zambia. The hotel opened its doors to the public in September, 2012 and is operated by the Radisson Blu, an internationally-recognised hotel management brand with long experience in the management of hotels worldwide. Besides providing direct employment, Hotelier carries out on-the-job training in order to enhance the employee skills. Staff also benefit from training in Radisson Blu’s other establishments in Africa, Europe and the Middle East. The hotel is also an important source of much needed foreign currency through attraction of international tourists and business visitors. Furthermore, the project supports the Government of Zambia in its policy of enhancing the tourism sector.